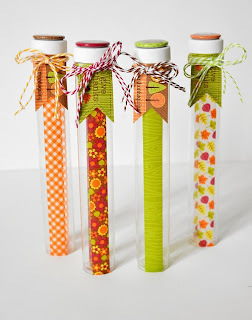 Hey Doodlebug peeps! It's Kathy Martin here today to share one of my favorite hostess gifts...wine! 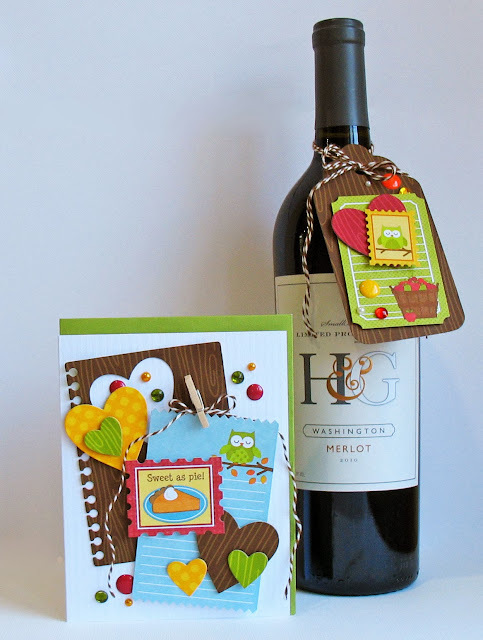 'Tis the season for holiday gatherings and what better way to thank your hostess than with a bottle of their favorite wine and a handmade card? 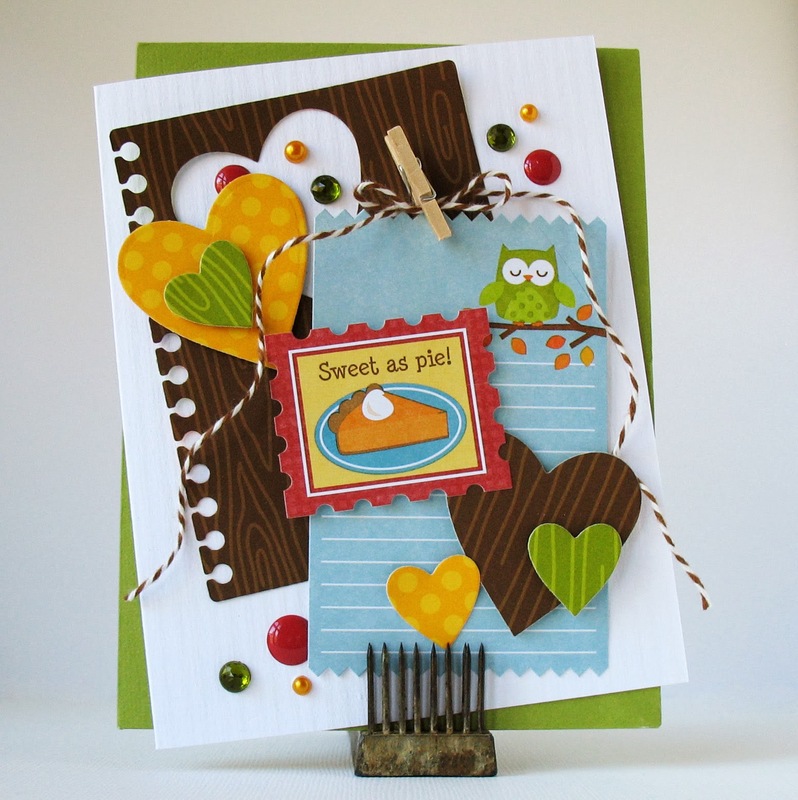 The Happy Harvest collection is perfect for creating Thanksgiving cards and tags, don't you think? 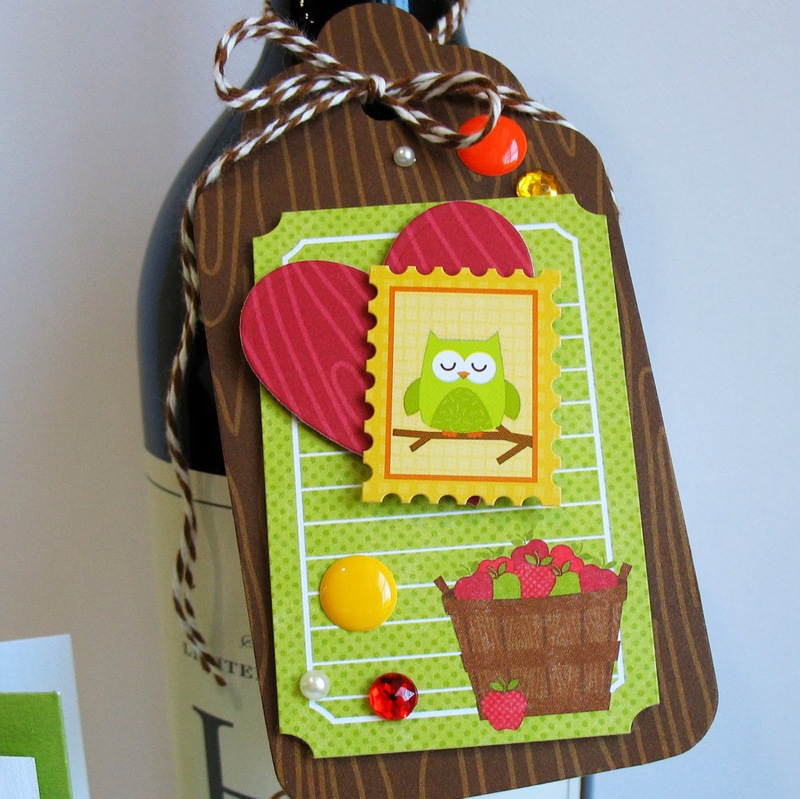 When I was making this tag I realized this image of apples in a basket would work equally well for a bottle of sparkling apple cider! If I want to get a little more fancy with my gift, I'll pack the wine in a basket full of goodies like fresh seasonal fruits, chocolates, flowers and home-baked goods...it's so versatile and well received. Hope you all have a wonderful holiday season! 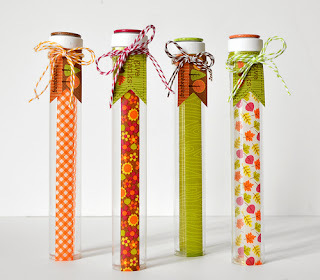 I was inspired by this pin – a washi tape project created by the oh-so-talented Kathy Martin! 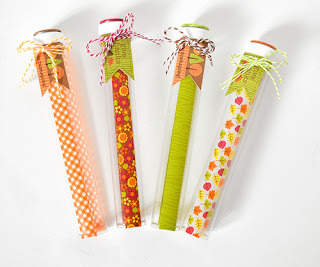 I wanted to use the Happy Harvest collection to create some fun seasonal treat tubes to share with some friends. I started by wrapping the tubes with washi tape. Then I tied some of the designer flags from the pixies collection onto each tube with colorful doodle twine. The tops of the tubes were the perfect size to add a doodad – aren’t they the cutest?!? 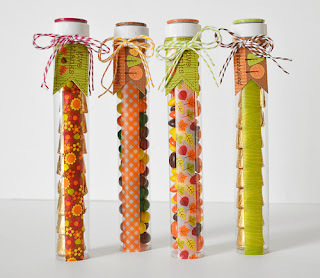 And, finally, I filled each tube with some seasonally appropriate candies – I used sixlets, reese’s pieces, and rolos – yummy! 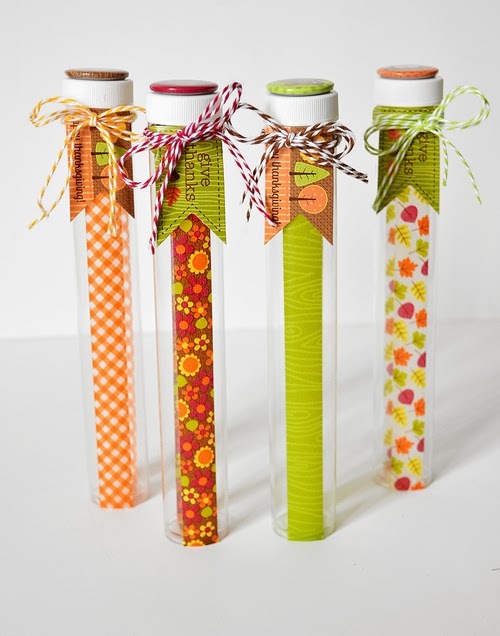 Have you checked out the Doodlebug Pinterest boards? 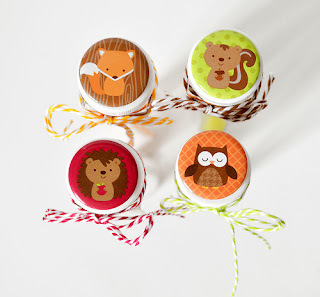 Hope over and take a peek – see what you’re inspired to create! AWESOME inspiration!!!!!! love those treat tubes!! You never cease to inspire Kathy! Fun! Love all the layers!! 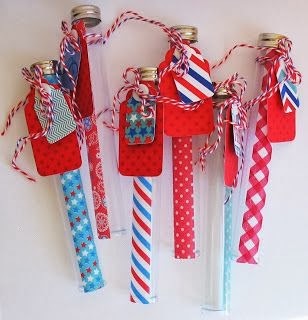 Inspiration for next year right there.... cute!